Drawing on his extensive research in the United States, Europe, and Asia, and on a variety of real-world examples from companies including Alibaba, China Mobile, Coke, Facebook, SK Telecom, Telefonica, and Travelocity, Ghose describes some intriguingly contradictory consumer behavior: people seek spontaneity, but they are predictable; they find advertising annoying, but they fear missing out; they value their privacy, but they increasingly use personal data as currency. When mobile advertising is done well, Ghose argues, the smartphone plays the role of a personal concierge-a butler, not a stalker. Ghose identifies nine forces that shape consumer behavior, including time, crowdedness, trajectory, and weather, and he examines these how these forces operate, separately and in combination. With Tap, he highlights the true influence mobile wields over shoppers, the behavioral and economic motivations behind that influence, and the lucrative opportunities it represents. 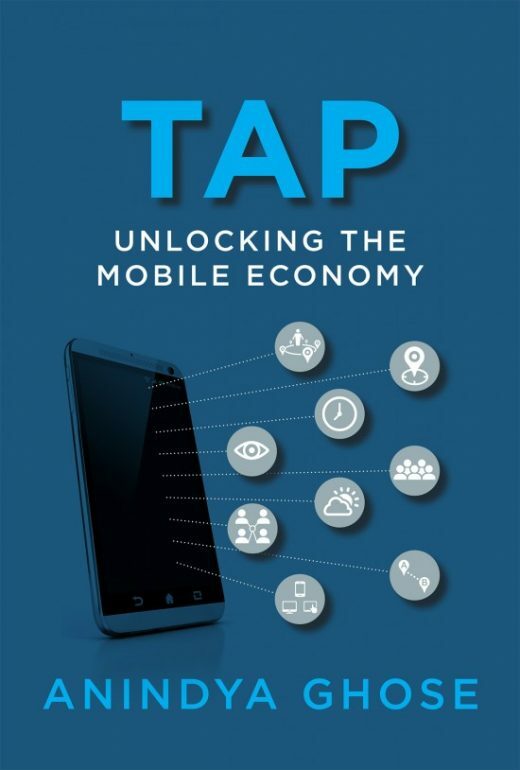 In a world of artificial intelligence, augmented and virtual reality, wearable technologies, smart homes, and the Internet of Things, the future of the mobile economy seems limitless.